The aim of the European Master in Nuclear Fusion Science and Engineering Physics (FUSION-EP) programme is to provide a high-level, multinational, research-oriented education in fusion-related engineering physics, in close relation to the research activities of the partners, together with a well-integrated language and cultural experience. The combined and harmonized teaching & research of the 7 universities offers a broad range of competences in the field of fusion science and engineering physics. The Joint European Masters Programme offers a genuine European opportunity for Master level studies in a field which is of crucial importance to solving the urgent and vital problem of world energy supply. In view of the expertise of the partners, the programme offers three programme tracks to the student: Plasma physics (fusion-oriented); Computational methods in physics; and Instrumentation and Radiation. The programme structure is combined with a mandatory stay for each student at two universities in two countries: semesters 1&2 at University A; and semesters 3 & 4 in B. Semesters 3 & 4 are in a particular track. During semester 4 students will also attend a one month long winter school at the ITER site (attendance is compulsory). After semesters 2 & 4 a summer event is organized (attendance is compulsory) in which tracks and Master thesis topics are proposed for Master 1 students Master 2 students defend their thesis at this event. Student mobility is an inherent part of the programme structure and philosophy. 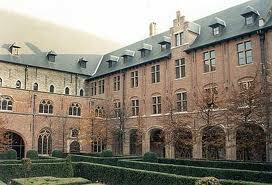 The joint or multiple degrees are recognised in Belgium, France, Spain and Germany. Bachelor degree in engineering physics, applied physics, physics or equivalent degree. Sufficient bachelor level knowledge in classical and modern physics is mandatory together with the necessary mathematical and computer programming skills. No difference is made between third-country students, EU students, grantees and non-grantees. Applicants (students and scholars) from third countries (whether or not applying for a grant) will be subject to a well-defined selection procedure aimed at achieving high quality. Per academic year Erasmus Mundus scholarships are available for FUSION-EP students from third countries are available. Nationals coming from all countries other than the 25 EU Member States (Germany, Austria, Belgium, Denmark, Spain, Finland, France, Greece, Ireland, Italy, Luxembourg, the Netherlands, Portugal, the UK, Sweden, Cyprus, Estonia, Hungary, Latvia, Lithuania, Malta, Poland, Czech Republic, Slovakia, Slovenia), the EEA-EFTA states (Island, Liechtenstein and Norway) and the candidate countries for accession to the EU (presently Croatia and Turkey), who are not residents of any of the above countries, and who have not carried out their main activities (studies, work, etc.) for more than a total of 12 months over the last five years in any of the above countries are considered “third-country nationals”. * no more than 4 of the selected third-country students should come from the same country. * no more than 2 of the selected third-country students should come from the same institution (3 where a Partnership under Action 3 has been established). The Erasmus Mundus scholarship consist of twenty monthly instalments of 1600 euro and a yearly fee of 5000 euro to cover expenses, like subscription fees, insurances and travel. Demikianlah informasi mengenai European Master Scholarships in Nuclear Fusion Science and Engineering Physics, Erasmus Mundus semoga berguna bagi anda.